Cardboard egg box pieces and glue. 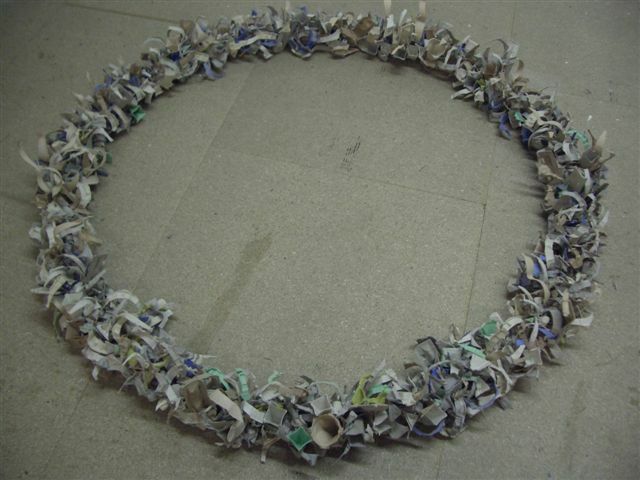 A large circle made from the remnants of egg boxes that had been used in other sculptures such as “New” and “Logs”. The circle is reminiscent of a fairy ring or a circle of fire – something magical or mystical. Continuing the idea that egg boxes represent a woman’s body as an egg container, the piece called Best Before End to symbolise the cycles of egg production.